WORKSHOP WITH SHAWNA REITER AND GINETTE MOHR. In this one-day workshop, we will explore how to create trickster characters and then vanish while they play. DATE: Sunday, March 4, 2018 TIME: 10:00 am to 4:00 pm. COST (INCLUDES HST) $125 Regular, or $100 Equity or UNIMA Member/Artist discount. LOCATION: Puppetmongers Studio. Unit W-23, 388 Carlaw Avenue, Toronto. PART ONE: MISCHIEF-MAKING. Here we call on The Trickster. Jungians suggest that tricksters exist within each of us at the border between conscious and unconscious thought. Appearing in the myths of many cultures, they often act as catalysts to playfully disrupt life and challenge authority. Drawing on character creation techniques from Laban, Viewpoints and clown, we embody our inner-tricksters and ignite new stories. PART TWO: THE DISAPPEARING ACT. 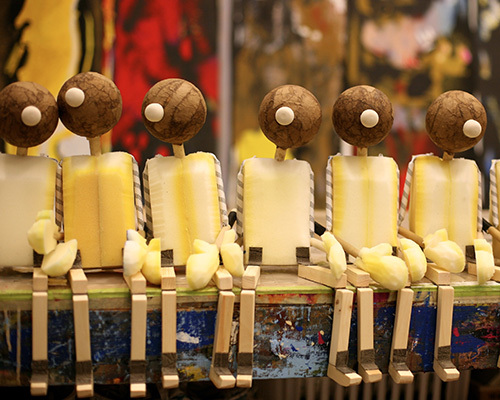 In part two, we transfer our trickster characters onto our puppets and experiment with how to let them take the focus. 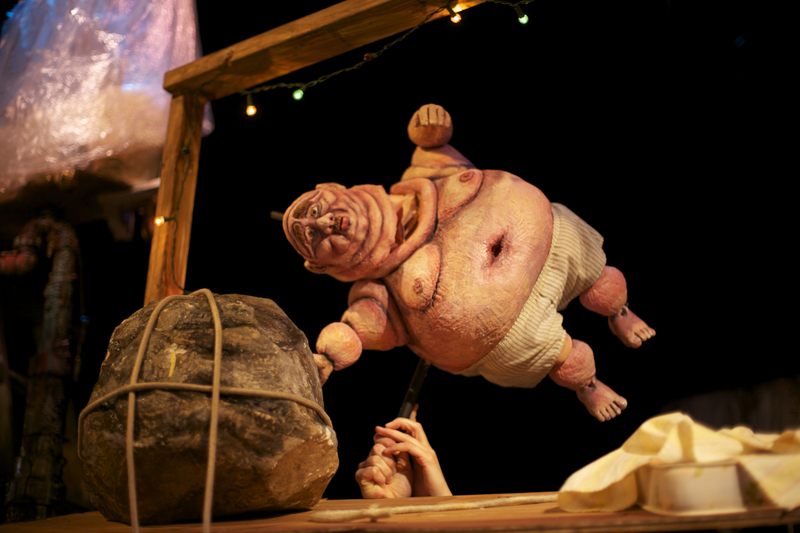 As contemporary performance styles often require puppeteers to be visible on stage, it has become increasingly necessary to achieve a puppeteer neutrality. By exploring tension, focus, and kinesthetic awareness, we allow our puppets to take centre stage and provide space for the magic to emerge. REQUIREMENTS: Designed for both the puppet-curious and puppet-experienced, this workshop welcomes individuals from any discipline; i.e., you may be an actor who incorporates puppetry into your training or an artist who loves to build puppets but wants to perform. Bring water, lunch, a notebook and something to write with. 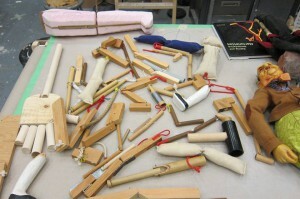 We will provide all other materials, including puppets. String Puppets have their own properties of movement, relationship to gravity, tension, weight, and character. In this introductory workshop participants will create string puppets out of a variety of materials to explore movement, breath, impulse, and focus and performance techniques. Emphasis will be on experimentation and play. TIME: 10 am to 4 pm. Two days for $200 registration plus $20 materials. Please note that registration deadlines are two weeks before the workshop date, that means November 12th, 2016 for Things on Strings – Beginner Marionette. 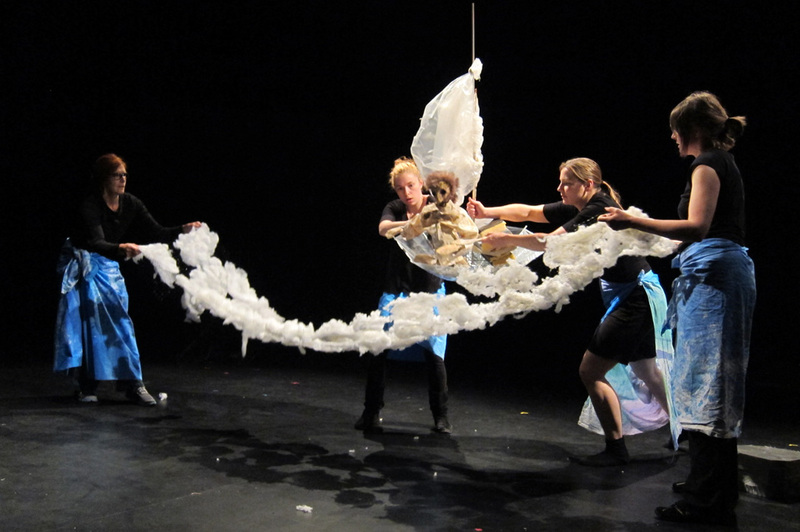 The Kestrels are working on a new show, a northern version of Carnival of the Animals and asked CLUNK to come and work with them to develop workable ideas for the script, solidify ideas for the staging of each segment, and explore styles of puppetry and building solutions. This dedicated group of puppeteers, artists, musicians and creators has been a joy to work with over the years. We wish them all the best with this new show and can’t wait to see how all of the ideas and work evolves. 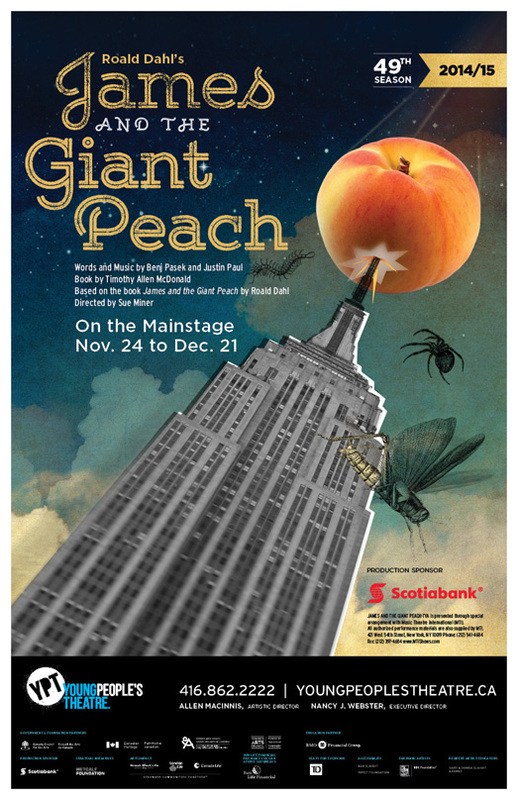 We are very excited to be working on this beautiful show at Young Peoples Theatre! In this refreshing new take on the classic family musical, Dorothy once again tries to find her way back home, only to learn she must find ‘home’ within herself. Dorothy and her dog Toto are caught in a tornado’s path and somehow end up in the land of Oz. There, she meets some memorable friends and foes on her journey to see the Wizard whom everyone says can help her return home and hopefully grant her new friends their wishes for a brain, a heart and courage. Innovatively arranged by Allen Cole and directed by Joey Tremblay, this delightful new production features everyone’s favourite tunes, including Somewhere Over the Rainbow, We’re Off to See the Wizard, Follow the Yellow Brick Road – plus a song that never made it into the movie version of the story: The Jitterbug. We will be performing one of CLUNK Shorts as part of Cafe Concret: Gone Fishin’ a 15 minute piece that explores the meaning of a quote by Henry David Thoreau: “Some men fish all their lives without knowing that it’s not really the fish they are after”. It’s the tale of Percival Sweetwater, a kindhearted curmudgeon and a mischievous fish who’s stories collide in an epic adventure on the open sea. Direct from Montreal, Café Concret is a long-running evening of experimental puppetry, object performance, and other variety acts, at a low cost and with a warm meal and live music included in the price of the ticket. This first Toronto edition features performances by Puppetmongers Theatre, Clea Minaker, Helen Yung, Hayley Lewis and Adam Cook, Erin Hill and Heather Caplap, Clare Dolan, and more. Music by special guest Lido Pimienta. Food will be served with admission! 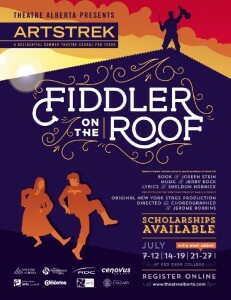 Apply NOW and explore the endless possibilities of art and theatre! This year we are offering a 14 day workshop: June 12-25, 2016. Located at the Humber College Lakeshore Campus. The Intensive is an exciting, vigorous, hands-on, training program in the art of puppet theatre. It is designed to introduce you to all of the basics of puppetry from manipulation and construction to design and performance creation. For puppeteers, visual artists, composers, teachers, writers, performers, designers, dancers, technicians, or anyone interested in integrating puppetry into their creative practice. A founding member and Artistic Director of CLUNK Puppet Lab, instructor Shawna Reiter is the co-creator/writer of “How I Became Invisible”, “Fin”, “The Uneventful Disappearance of Mr. Ogorki”, and “Gone Fishin”. Jerome Havre will join Shawna throughout the workshop. This course meets in the AGO’s Anne Tanenbaum Gallery School. Participants must be 18 or older. Space is limited. Please read our policies when you prepare to register. We had an amazing time working with Arts4All! Thank you to the ARTS4ALL team and the ARTS4ALL Players for all of their support and enthusiasm in creating Signs of Life. ARTS4ALL provides an expressive playground for all members of the Davenport Perth and Pelham Park neighbourhood in West Toronto. Professional artists collaborate with community members to create original works of art that celebrate and transform how we all live together. In their collaborations, divisions between generations, cultures, classes and abilities are bridged, they develop tools of expression that communicate thoughts and feelings and showcase talents while nurturing the process of getting to know one another. We will be teaching workshops in Puppet Mechanics and Story to Stage for the Kestrel Puppet Players. We would like to thank Rosalie Scott for her incredible enthusiasm and hard work to bring us to work with her wonderful company. 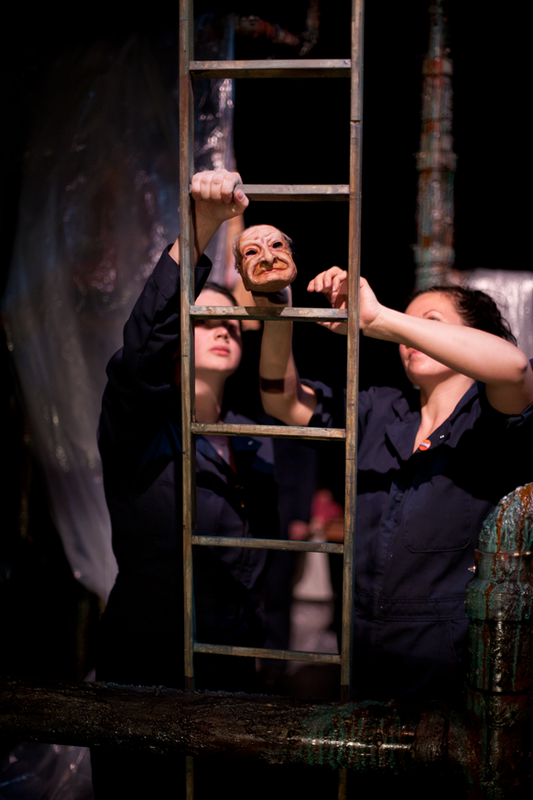 Shawna’s artistic practice crosses disciplines of art and theatre, exploring the reciprocal relationship between the puppeteer, the performing object/puppet and the audience. 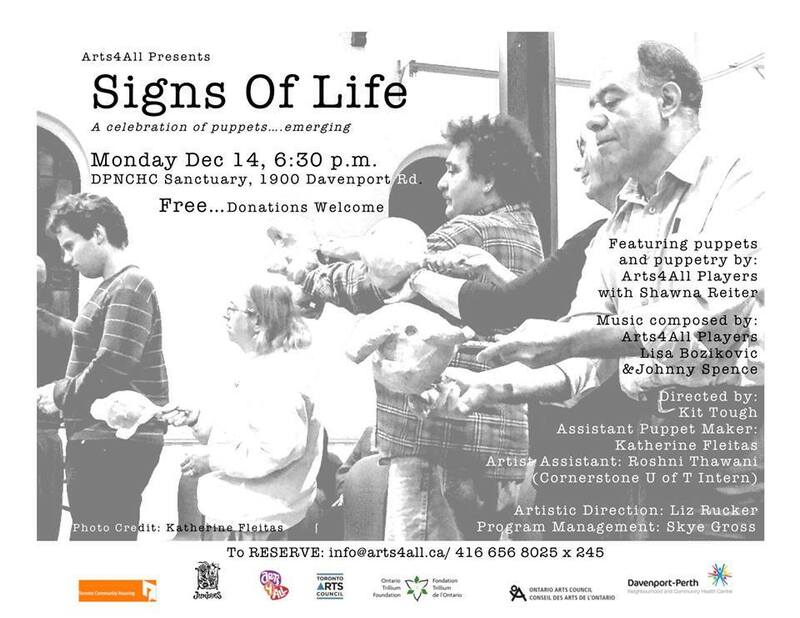 Shawna will speak about the fascinating world of puppetry and her research into how the imagination can manifest a sense of “life” in a performing object. 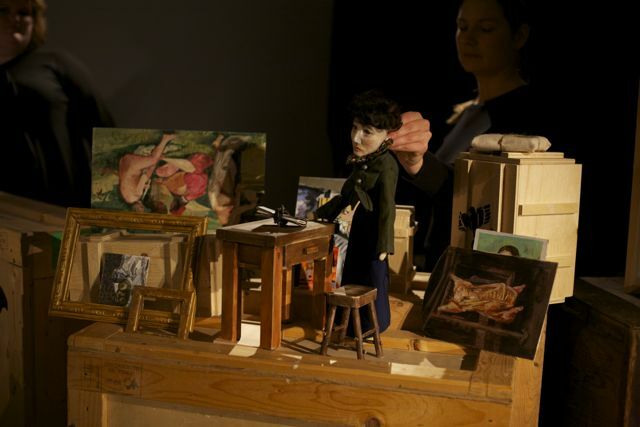 Using sculptural objects and puppets to create imaginary spaces, events, and scenarios, viewers are encouraged to participate in the work, creating their own narrative paths and instigating events. 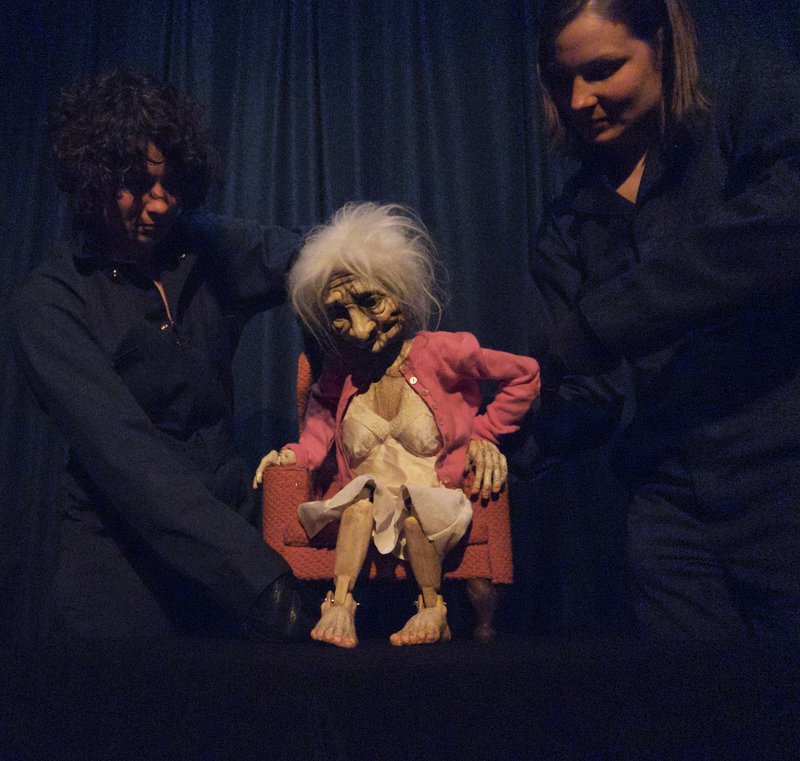 As the artistic director of CLUNK Puppet Lab, Shawna and her team create highly visual theatre in which they strive to delve into the minute, intimate moments and connections of shared human experience. The tale of Percival Sweetwater, a kind-hearted curmudgeon who’s favorite pastime is fishing. His life is changed forever when he finds himself in pursuit of a magical fish that was once an old woman. Their stories collide in an epic adventure on the open sea. 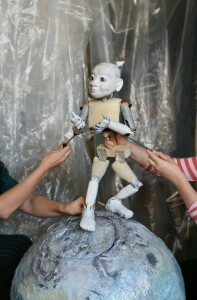 Participants explore the incredible range of puppet forms: How to make them and how to bring them to life. Experiment with: Rod, string, shadow, table-top, and more. 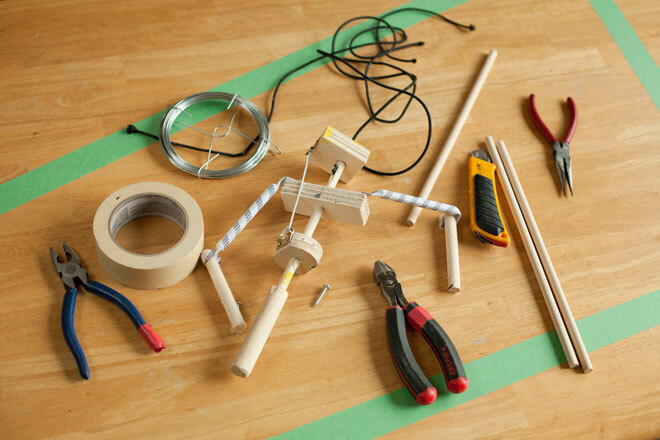 We will delve into puppet construction – the basics of joints, balance, controls. 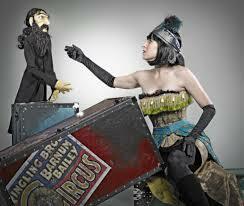 We will explore puppet manipulation and teaching puppets to act. Participants and instructors become a production team, exploring the process of developing new work. 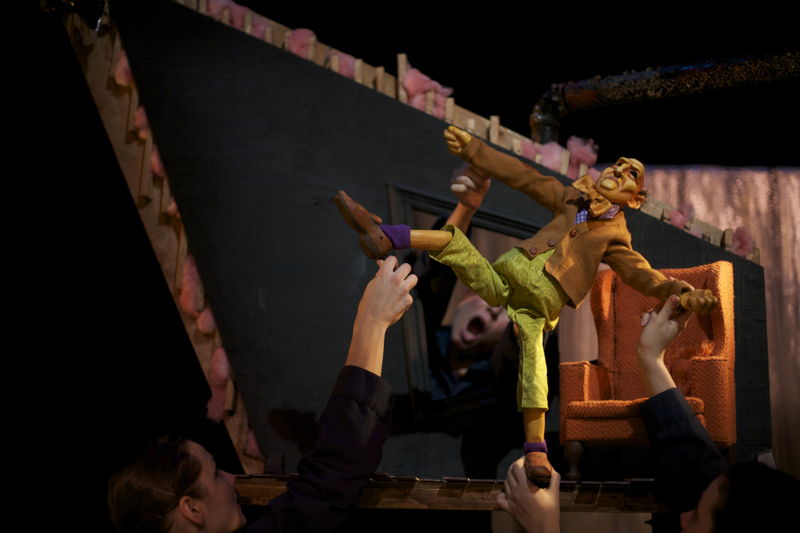 From the initial storyboarding and scripting, through the design of the puppets and staging, the construction of puppets, props and sets, and of course rehearsals with voices and sound. There will be a performance on the final day. Humber now offers master classes in the the Puppetry Arts. The Master Class Series is a selection of 3-day workshops that focus on specific, advanced techniques. In Roald Dahl’s topsy-turvy world, we find young James trapped in a most unfortunate situation. After losing his parents at a young age, he is placed in an orphanage – only to later be shipped off to live with his nasty and brutish aunts. Saddled with all of the drudgery in the crude and beastly household, James finds an unexpected escape from his servitude when he clambers inside a massive peach that has been growing in the backyard. During his journey in the gigantic piece of fruit, James discovers unexpected friends and eventually makes his own family. The play has some dark moments at the beginning but it will also prompt young people to think about what makes a family and who they can trust. By the end, the audience will delight in the come-uppance of adults who have so egregiously and unfairly mistreated a child. 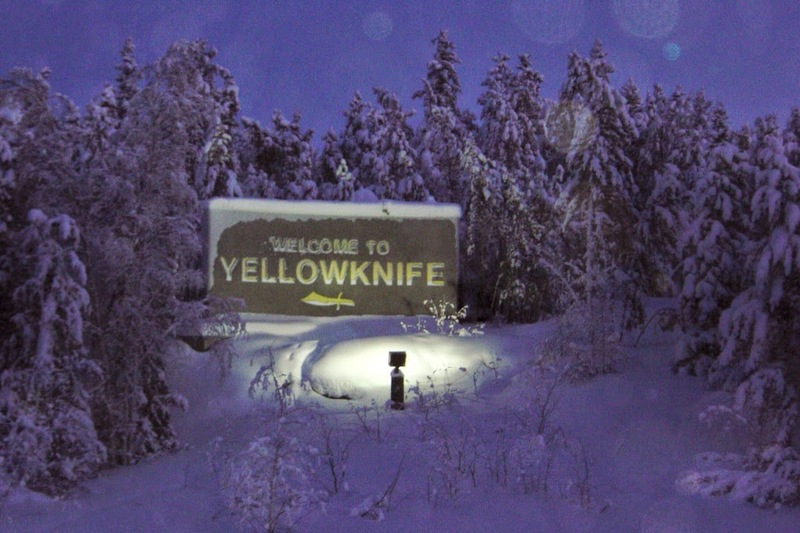 Back from summer 2014 and excited to share some amazing adventures and looking forward to what fall will bring. It has been an incredible few months of intensive training, meeting fellow artists and discovering new places. 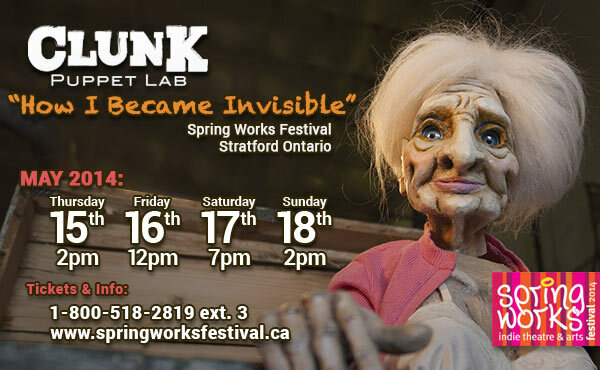 It began with the remount of “How I Became Invisible” at Spring Works. A set rebuild, refining the script, new puppeteers Brian Webber and Madlen Rafi Sopadzhiyan, and the opportunity to work with Paul de Jong – Head of Voice, and Puppetry Instructor for the Theatre Performance Program at Humber College – to find the voice of Winifred the 12 year old girl in our show. We explored levels of tension, impulse and breath in voice and sound as a progression toward movement and intention; resonant qualities of objects and puppets in relationship to shape, material, and character; articulation of the puppets voice through text and non-text performance; inhabiting the body of the puppet through voice in relation to Laban’s weight, time, space, and quality of energy. Amazing!!! Paul’s understanding of the relationship of the puppeteer and puppet in relationship to voice was invaluable to us as we worked through the script. Then it was off to John Turner’s Clown Intensive on Manitoulin Island in Northern Ontario for 15 days of camping, communal cooking in the outdoor kitchen, and 24 baby clowns discovering our worlds, taking risks and surprising ourselves. This workshop was so much more than can be written about it here: a deep exploration of imagination, coupled with revelations that the process of discovering clown meant being in a constant state of becoming through the masks that we created. John Turner is truly a brilliant teacher, with a huge heart and filled to the brim with love and magic. Another few weeks and a trip to the to the Sandglass Puppetry Intensive for training with Eric and Ines Bass where they welcomed us into their home/studio/workshop/theatre in beautiful Putney Vermont USA. This workshop was both a deepening of performance practice as well as rediscovery of the life and breath of the puppet. Delving into the dynamic relationship between text and puppetry, dramaturgy, directing techniques and ensemble creation Eric and Ines masterfully lead us through a cohesive and holistic approach to performance creation. Returning home at the end of summer there is a new spark and renewed sense of creative energy, ideas brimming, new connections with people and places, and excitement about what may come. I gratefully acknowledge the support of the Chalmers Professional Development Grant program administered by the Ontario Arts Council for the opportunity to train with all of these brilliant instructors and masters of their craft; to the instructors themselves who inspired, challenged and opened up new possibilities; and to all the beautiful talented brave fellow artists met along the way who shared their work and themselves, thank you. Image by John Turner, of the Mask and Clown Intensive class of 2014 at Manitoulin Conservatory for Creation and Performance. Shawna Reiter, Co-Artistic Director of CLUNK Puppet Lab Teaches Puppet Construction and Design at the Humber College Puppetry Intensive. The Humber College Puppetry Intensive is an exciting, rigorous, hands-on, 12 day training program in the art of puppet theatre, taught by some of the best professional puppet artists in North America. 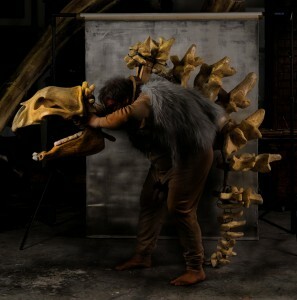 Participants will survey the many modes of puppetry through the study of breath, impulse, movement and voice as they relate to object animation and puppet manipulation. 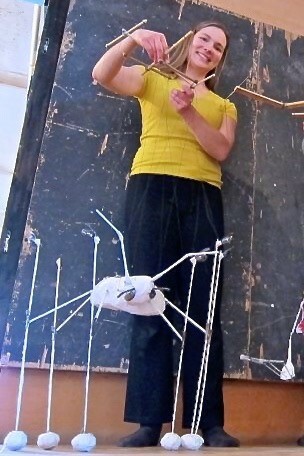 The principals and techniques of puppet design, construction, mechanisms of movement, and performance creation will be explored in a puppet lab setting. All classes will take place in the recently renovated, state-of-the-art facilities of Humber College’s Arts and Media Studios. Working from a performance creation platform, participants will learn how to work with a diverse ensemble in creating original material. The result of this practice will culminate in short “works-in-progress” to be presented in front of an invited audience in our Black Box Theatre at the end of the intensive. It is the mandate of this intensive to stimulate creative inspiration and create a vibrant community of like-minded artists that shall venture forth into a realm of endless artistic potential. 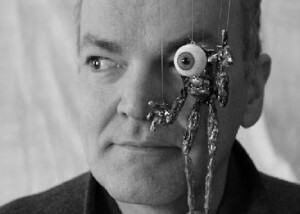 CLUNK will be part of the Spring Works Mini-Festival of PUPPETS. Spring Works presents staged and full cast readings of new plays and works-in-progress, music, cabaret, poetry, dance, dinner & show packages, a range of children’s programming, a mini-festival of PUPPETS, visual arts exhibitions and workshops. Come join us! 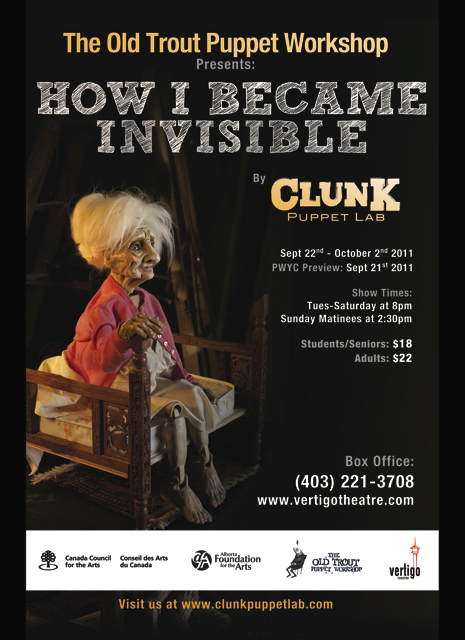 This fall 2013 CLUNK is very excited to be working with David Lane at New England Puppetry in Massachusetts, USA on a new show! The Chronicles of Rose depicts the fretful time in Paris just before, and during the Nazi occupation of France during WWII. 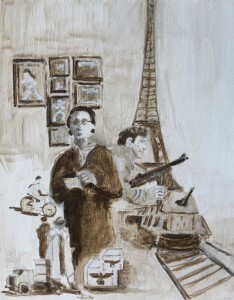 The looting of priceless art has become an obsession for Hitler’s Third Reich, and when they set up shop at the Jeu du Paume, Rose Valland, the museum’s curator begins feeding information to the French underground about the appropriated art and the secret hiding places Hitler’s men are sending it. Together with the handsome underground operative Christian Papineau they hatch a plan to capture a German railway transport filled with stolen national treasures, but when the train isn’t just filled with the plunders of war, they realize there is more at stake than they had ever imagined. 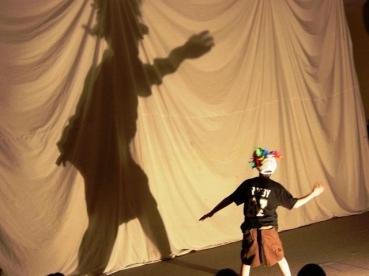 Learn how to make your own shadow puppets with master puppeteers Alice Nelson and Kyla Read. In this workshop, you will create your own shadow creatures out of cardboard and learn how to animate them in front of the lights. You can also learn techniques to cast cool shadows using only your body and light. Take turns creating your own show, and then sit in the tent for a while and watch others create the magic. 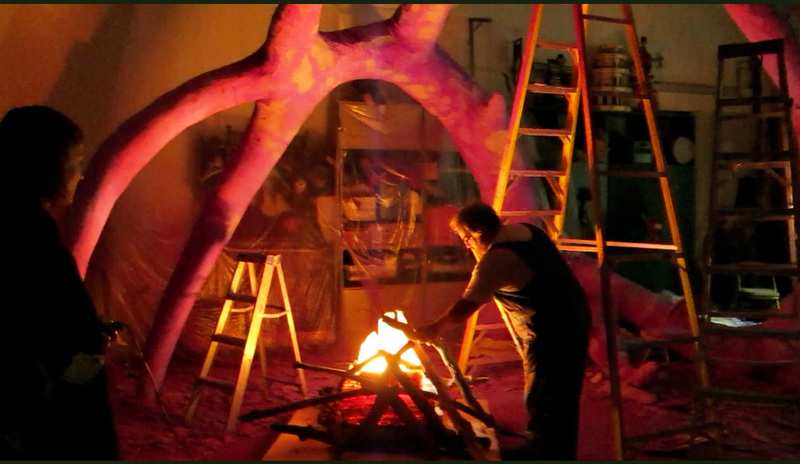 Building and Puppeteering for Old Trout Puppet Workshop‘s new film! 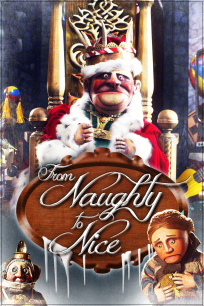 It’s the story of Santa Claus, back when he was a greedy, obstinate little child, ravenous for toys, and how he became the twinkly-eyed fellow we know and love today. This summer, Kyla Read, Co-Artistic Director of CLUNK Puppet Lab will be teaching at Artstrek – a summer school for teens that explores the exciting world of theatre and theatre production. 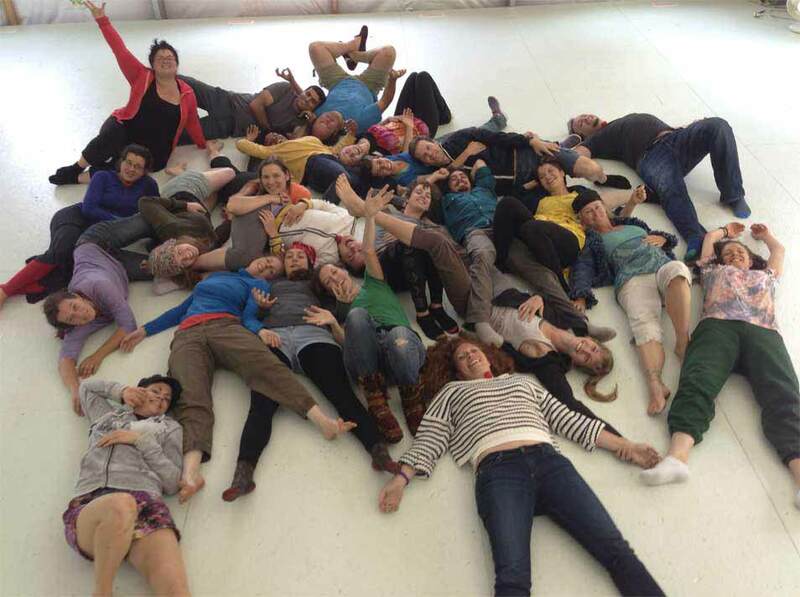 Over the course of a week in residence at Red Deer College, Artstrek students discover acting, voice, movement, directing, sound/music, design, creation and collaboration with some of Alberta’s finest theatre professionals and educators. This six-day program is for enthusiastic theatre lovers who are 13 and 14 years old. This six-day program is for 15 and 16 year olds with a keen interest in theatre and a dedication to increasing their knowledge and skill level. This NEW seven-day program is for 17 and 18 year olds who have demonstrated a commitment to theatre practice and education. Ignorance is a puppet documentary about the evolution of happiness – from the thick-blooded hearts of the ancient caves, to the ethereal heaven of our light-speed future – it’s about where we all went wrong, and how we might find our way once again. 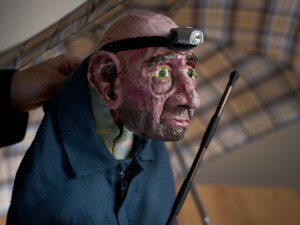 Photo: Jason Stang Photography, courtesy of Old Trout Puppet Workshop. 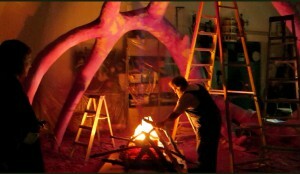 Puppet Engineer and Special Effects Artist Jonathan Davis designed and built LED circuits and fire effects for a giant puppet bonfire. The story of an afflicted, agonized, ailing, anguished, brokenhearted, dejected, desolate, despairing, despondent, disconsolate, discontented, distressed, doleful, downcast, forlorn, gloomy, heartbroken, hopeless, hurt, injured, melancholy, miserable, mournful, pathetic, pitiable, racked, rueful, sad, sickly, sorrowful, strained, suffering, tormented, tortured, tragic, troubled, woebegone, wounded, wretched man. How I Became Invisible” is a surreal puppet performance that unearths life, death, and the memories that linger in-between. What happens when you disappear from everything you hold dear, the people you remember, the place you call home? Saija, an 81 year old woman struggling with Alzheimer’s, has moved in with her overbearing daughter who lives in a dilapidated apartment complex. In an attempt to find clarity in an increasingly confusing world, she writes stories for her granddaughter. As her illness progresses, she finds herself lost between reality and fiction, where she encounters a curious group of demented seniors including an obese floating man, a washed up Super Hero, and a woman who has been sitting in her bathtub for so long that she’s turning into a fish. As she discovers their stories, her mind grapples with the deterioration of old age, where grace becomes fear, and beauty is beleaguered by the desperation that comes with forgetting everything life is lived for. CLUNK Puppet Lab presents a series of vignettes explore the motivation of taking a risk to find love.